According to city records, Hearne City Manager Pee Wee Drake’s government-issued credit card was used to buy hundreds of dollars worth of football tickets, while thousands of dollars worth of city funds were spent on Christmas gifts, including several flat-screen televisions and a tablet computer. I am also informed that city employees purchased supplies for Mayor Ruben Gomez’s home using city funds. I suspect the credit card purchases are only the tip of the iceberg. In a letter sent this afternoon, I asked Robertson County DA Coty Siegert, Major Jeffrey Collins of the Texas Rangers, and Robertson County grand jurors to investigate city hall finances and determine, among other things, whether city officials are tampering with electricity bills in order to reward their friends and punish their political enemies. Rodrick Jackson, a Baptist minister and former city council candidate, originally obtained records of Mr. Drake’s credit card purchases via the Texas Public Information Act, and I drafted a new public information request that focused on utility records. Mr. Jackson submitted the new request on July 21, 2015, and the electricity service to his home was disconnected the same day, allegedly due to a mistake. However, city officials did not reconnect his electricity until the following day, and only after he threatened to call a lawyer. That looks and smells a lot like retaliation, which would be a crime under the circumstances. * Football tickets purchased from Vivid Seats on October 8, 2013 for $212.27. Apparently purchased for then-Councilman Michael Werlinger. * Tickets purchased from Vivid Seats on December 7, 2013 for $424.35. Also appear to have been purchased for Michael Werlinger. * Computer tablet for Christmas party purchased on November 6, 2013 for $237.47. * Playstation II purchased on April 10, 2014 for $220.00. * Unidentified Christmas party purchases on November 21, 2014 for $510.66. * Christmas party gifts purchased on November 29, 2012 for $1,012.58, including two flat-screen televisions for $388 each. * Two flat-screen televisions purchased on October 3, 2013 for $656.00 total. I personally informed every member of the city council about the football ticket purchases on Mr. Drake’s credit card, but every council member except Shirley Harris is trying to ignore the problem. Why? Because all of the other council members have climbed in bed with Mayor Gomez and Mr. Drake. I realize that’s a serious charge, and I don’t make it lightly. You may recall that I represented council members Hazel Embra, Joyce Rattler, and Lashunda White earlier this year (and free of charge) in a lawsuit that forced the city council to schedule a recall election for former Councilwoman Maxine Vaughn. The local political establishment tried to race-bait the recall election by suggesting that black people were threatening to take over the city [gasp! ], but Ms. Vaughn was recalled by the voters anyway. Afterwards, Mayor Gomez and Councilman Michael Werlinger started boycotting all city council meetings in order to prevent a quorum, thereby blocking Ms. Embra, Ms. Rattler, and Ms. White from cleaning up the corruption in city hall. Things changed dramatically in May, however, when Ms. Harris was elected to the council and the reformers appeared to have a majority. Mayor Gomez suddenly changed his tone, suggesting that the council members needed to put their differences aside and work together. Unfortunately, I had seen that game played too many times before. Even in defeat, corrupt politicians do not cede power. Instead, they try buy off the newcomers who threaten the old order. It usually works, and this time was no exception. I probably should not have been surprised by what happened next, but after all of the race-baiting and dirty tricks, I never would have expected my former clients to sell out so quickly. Prior to the May election, Mayor Gomez’s allies had gathered enough signatures to force a recall election for Ms. Embra, who was then his mortal enemy. Immediately after the election, however, the mayor offered to bury the recall election in exchange for Ms. Embra’s cooperation. She took the deal. That was particularly ironic, because I had just obtained a ruling from the Court of Appeals – on behalf of Ms. Embra, Ms. Rattler, and Ms. White, no less – declaring that the city council had no right to bury a recall election. 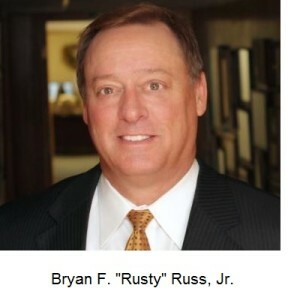 Prior to the May election, the three reformers said they were going to fire Mr. Drake, City Attorney Bryan F. “Rusty” Russ, and City Secretary Anna Florida, among others. They also said they would (1) adopt an ordinance preventing the mayor from voting except in the event of a tie (that had always been the practice until Mayor Gomez started voting to block the recall election for Ms. Vaughn); and (2) hire a forensic auditor to evaluate city finances, including utility billing practices. After the election, my former clients suddenly lost interest in those issues. So why did my former clients join forces with the mayor and Mr. Drake? Ms. Embra wants the council to appoint her as municipal judge. The judge is paid a salary, unlike council members, and that sort of political horse-trading is legal. I’m not so sure that Ms. Rattler and Ms. White switched allegiances for legal reasons, but I’ll save the details for the grand jury. None of this will come as a surprise to anyone who lives in Robertson County or anyone who has read BoogerCountyMafia.com, and I know of only two ways to break the culture of corruption. First, prosecute the people who line their pockets at the expense of taxpayers. Second, let the elected officials know that there are political consequences for betrayal. Former Mayor Milton “Tweety” Johnson has been debating whether to launch petitions to recall Mayor Gomez and all of the council members except Ms. Harris. I hope he does. I’m sure the local political establishment will talk about how bad this will make the city look, but which is worse in the long run: cutting out the tumors or leaving them in the patient? WHO WILL BE THE NEXT CITY MANAGER? 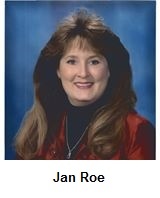 Back on January 9 of this year, I published an email from Mr. Russ claiming that Jan Roe, who had just been voted out of office as Robertson County Judge, was interested in succeeding Mr. Drake as city manager. I am informed that Judge Roe, a prominent member of the Booger County Mafia, recently lobbied one of my former clients against me, and it wouldn’t surprise me if that old sow was still trying to get her snout back into the public trough. On the other hand, the council recently authorized Mayor Gomez to act as chief executive officer on behalf of the city, and it wouldn’t surprise me if he became the de facto city manager and started drawing a six-figure salary. If there’s not enough money to pay six-figure salaries to both him and Mr. Drake, the city could always hike the utility rates again. I must admit that some of my disappointment with my former clients is quite personal. Early this year, Ms. Embra approached me on behalf of herself, Ms. Rattler, and Ms. White about replacing Mr. Russ as the city attorney. I initially declined the offer because I was planning to move to New York, but I later changed my plans because I thought the job would provide a unique opportunity to put into practice some of my ideas about fighting corruption. After the May election, however, my former clients kept postponing a vote and offering excuses. Ms. Rattler and Ms. White stopped responding to phone calls and emails, and Ms. Embra even told me that she thought Ms. Rattler and Ms. White had been offered something in exchange for their sudden loyalty to the mayor and Mr. Drake. Meanwhile, Mr. Drake was pushing hard to get local attorney Lonnie Gosch appointed as city attorney instead of me, and for good reason. I like Lonnie, but he is not the type of guy who will rock the boat. On July 14, 2015, Lonnie and I both met with the city council about serving as city attorney, and I told the entire council about the misuse of city-issued credit cards. I told the council that some of the purchases appeared to be illegal, and I proposed four projects that I would work on as city attorney: (1) lead a forensic audit of city finances (including credit card accounts); (2) file civil cases to recover the money misappropriated from the city; (3) file public nuisance cases to clean up drug houses and abandoned properties; and (4) revise the city charter (it’s a mess). Lonnie sought a $4,000-per-month salary plus $300 per hour for litigation, which was not much different from the $4,700 per month plus $300 per hour for litigation that the former city attorney (Mr. Russ) had been paid. Both amounts were excessive, particularly for a town of fewer than five thousand residents. I noted that a highly regarded municipal law firm in San Antonio had offered to do the job for far less, and I offered to work 20-30 hours per week (rather than 10 hours or less) for a flat rate of $3,500, including litigation time, or a lower flat rate if the city wanted me to work less. Alternatively, I offered to do the job for a straight $150 per hour. But regardless of who was hired, I told the council, no city attorney be paid both a monthly salary and an hourly fee. Not only did the council hire Lonnie, they agreed to pay him $4,000 per month salary plus $300 per hour for litigation. After all, it’s only the taxpayers’ money. Meanwhile, I doubt you will see any forensic audits, efforts to recover misspent funds, or public nuisance suits to clean up drug houses. I hope the investigation continues. The citizens of this community have suffered and are financially forced to pay for this corruption. It is sad the the citizens voted for our newly elected officials and it hasn’t been a year and their political agendas have already changed. 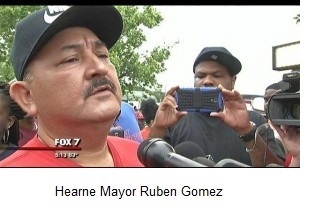 They have been steeling from Hearne residents for years.wake up and fight. Is true. I pray it’s not! I still have great hopes for our town. I believe in our people. Whatever the situation might be I pray the truth comes out. Ty, you are wrongly accusing me of something I had nothing to do with. I want you to realize this as I am a private citizen now and I don’t have to put up with your slanderous comments anymore.